In this article, we will dive into the basics of how an organization can actually create, hire, and deploy an industry-ready workforce with their Learning Management System. In our last article 3 Essential Ways Corporate Training Can Benefit Higher Education we talked of how a Learning Management System can fill certain gaps prevailing between the two big worlds of Corporate and Higher Education. In this article we will discuss how an organization can actually create, hire, and deploy an industry-ready workforce with their Learning Management System. Before we do that, let’s come around a simple fact. Recruitment, onboarding, and training have become complex, difficult, and strategic. How? First, there are millions of people searching for the right job. Second, there is comparatively a lower number of companies looking for the right person. Third, 23% of new hires turn over before their first anniversary. Incidentally, 87% of workers worldwide "are emotionally disconnected from their workplaces and less likely to be productive". Now check this out! 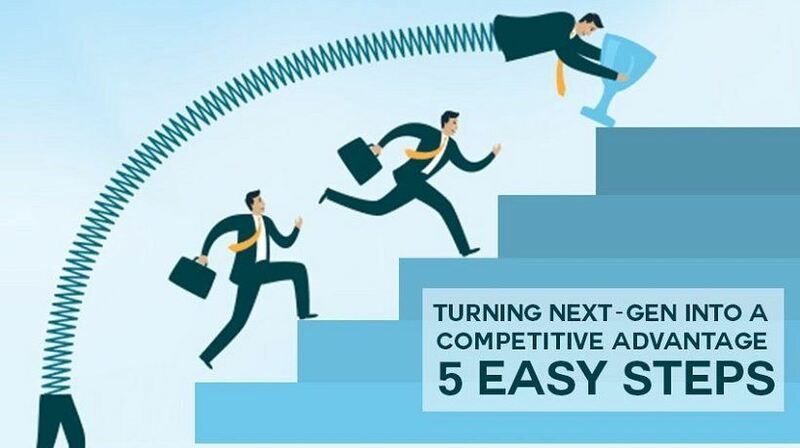 A recent study from Bersin by Deloitte found that U.S. companies had increased their talent acquisition spending 7% on average in 2014 from 2013, driven by increased competition for talent and shortage of critical skills. Why does such an interstice exist? How can an organization create, hire, and deploy an industry-ready workforce? How can companies engage employees-emotionally and intellectually? Campus placement has been a favorite tool of talent acquisition for hiring freshers. Isn’t it time to move on? How can technology enable companies to cast a wider net in finding the right job for the right person? The power of a Learning Management System is still undermined in many ways. At Emmersive we believe (and can prove) that a Learning Management System can be used to make recruitment, onboarding, and training uncomplicated and simple, yet strategic in 5 easy steps. Here’s how! By far this is the first and the most critical step of the entire process. You might have a vast experience in creating content to suit the hierarchy of your organization-making it a combination of text, video, games, and assessment. But you might want to be careful with it for the next-gen. I mean it! Gen-next is tech-savvy, app-friendly, and social media crazy. With an attention span of 8 seconds… you either enchant them or you don’t within the first 8 seconds of your content. That’s a real challenge. Experts suggest keeping the content crisp, less textual and more multimedia-like. Create content that talks of your organization-past and future, business philosophy, clients, and working environment. This can enable students to identify, connect and analyse self-requirements, needs and prospects in your organization. In our article 3 Essential Ways Corporate Training Can Benefit Higher Education we have pitched the idea of Learning Management System Interfaces, where a company and educational institution can connect via the Learning Management System. This is one way of doing it. As an organization you might want to keep it simple by hosting your content on the institute’s Learning Management System. Accessibility can be chalked out for the organization to view students’ past performances in curricular & extra-curricular activities. Now set an eligibility criteria for selection of students who can access the pre-recruitment training sessions, based on student performances, activities and behavior. This allows the organization to set a benchmark, create filters, and select suitable candidates as per the position. Suppose your organization is looking for bright business development and sales executives. Create a course on business development ethics, values and policies, etiquettes, client communication, etc. Interested students can view this short course and learn about best industry practices relevant to the profile. You can then have an entrance test or assessment based on this training before the final recruitment. This modus operandi does not eliminate the actual recruitment process, but what you have at the time of recruitment are candidates who understand your business, surpass the talent level and know exactly what to expect. Your organization saves time and cost on filtering the hundreds of candidates that might or might not decide to join your organization after an interview. From the student perspective, this approach gives them ‘total control’ over their career paths. Psychologically, those who feel in control appear to be more loyal. So, rather than hastening the recruitment process, empowering the students might help retain them in the future. After selecting a pool of candidates suitable for your business environment and the relevant position, the company can keep training and re-training them on work-related aspects. Appropriate and customized content for this purpose can be hosted on the institute’s Learning Management System, which is selectively accessible to the students. This essentially is like closing on the industry-academia gap, which is quite prevalent today. This also creates a smooth onboarding process for the organization and produces a workforce that is ready and productive right from the first day of their jobs. It typically takes eight months for a newly hired employee to reach full productivity. Imagine having an employee who knows exactly what to do, when and how on the day he joins! Organizations can save up to 100 % of the cost of recruiting, onboarding and training a new employee in this way. Create content, host it on an institute’s Learning Management System, filter candidates based on selection criteria, assess them on a short training module, recruit through personal interviews and group discussions, deploy virtual on-job-training for selected candidates through engaging short-term modules and get industry-ready workforce with maximum productivity levels. Isn’t this a much simpler route that can mutually benefit both an employee and an organization? This needs a co-ordinated effort between the company and the institution, to create a robust pipeline of talent. This is possible only through technology!